So the first few weeks of January have been pretty tough. I’ve had a couple job rejections and disappointing feedback. I think the lack of recent success has been affecting me more than I thought it had. Today I wanted to share two things. – 1 Thessalonians 5:16-18 (MSG). Meditating on this as I received two consecutive emails with rejections definitely stopped me from breaking down on a two hour train journey. I won’t dispute that it was incredibly tough and definitely tested the limits of my faith. Getting through this dry season will need a lot of prayer and support from friends and family, albeit distantly. Thankfully I’ve had visits from some close friends and each visit has recharged me. I used to underestimate the importance of human support, but I definitely won’t anymore. The second thing I wanted to share was some sweet and salty popcorn that I made the other night. I’ve always had trouble making my own sweet and salty popcorn because it was difficult to get the sugar to stick to the popcorn. I’m not a fan of toffee popcorn, with all the thick, sticky gunk, and unfortunately most popcorn recipes are about those. However, I found this recipe. 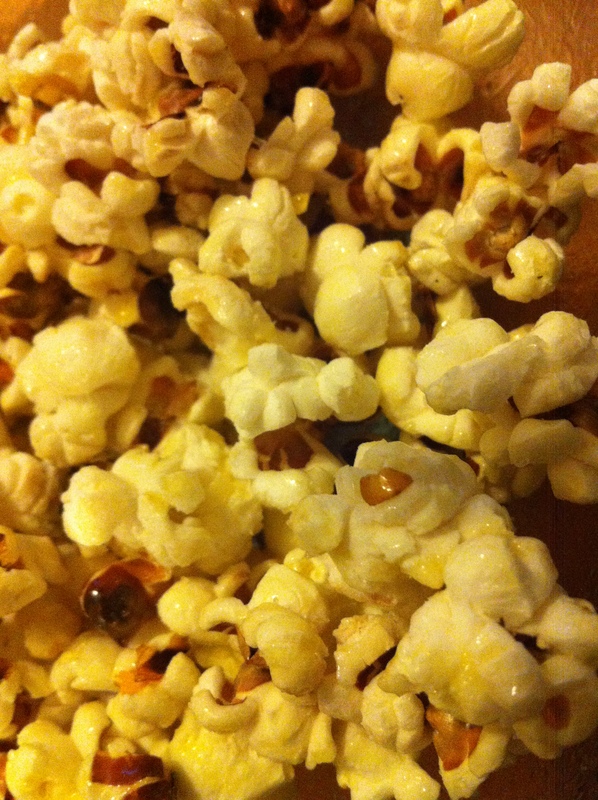 The blogger got over the sugar issue by mixing it into melted butter, which coats the popcorn perfectly. I used salted butter and a few twists of my salt grinder and the result was perfect. From now on this will be my go to popcorn recipe. I just can’t believe how simple the solution was! I’ve been following Joyce Meyer: Promises for Your Everyday Life – a Daily Devotional on my iPhone Bible app and recently a lot of the lessons have focused on avoiding a negative state of mind. One point that stood out to me today is: problems are impossible – in the natural. However, the lesson goes on to point out that God is not just natural. He is far more than that. She continues to write that focusing on who God is, and basing your mindset on His Word can lead to understanding that nothing is impossible for God. This in turn leads to positive thoughts. Finally, when you think positively, problems that previously seemed insurmountable no longer seem so and solutions begin to present themselves. 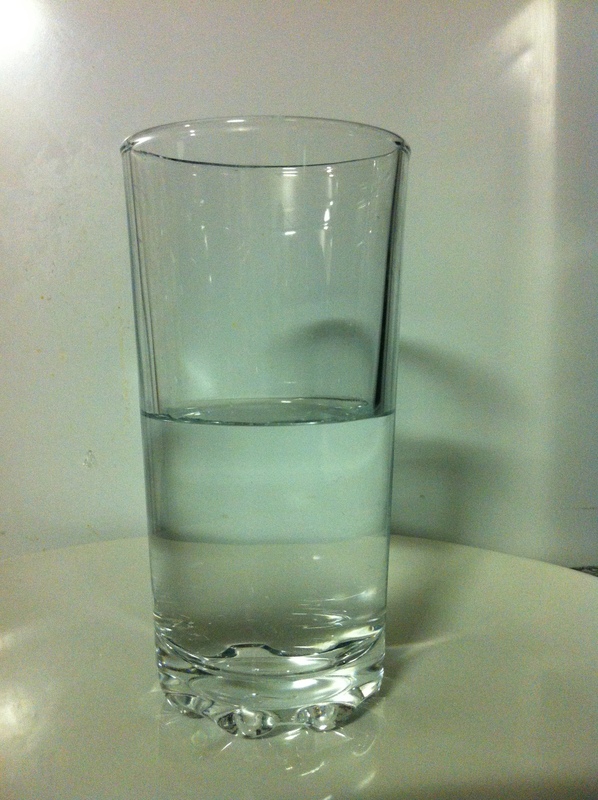 I used to be a glass-empty sort of person. After reading these devotionals I now understand that that sort of thinking actually contradicts any statements that I make with regards to my faith in God. As I continue to declare my faith in His greatness I have to back up my statement with actions. The verse for today’s devotional refers to John the Baptist’s mother, Elizabeth. An angel was telling Jesus’ mother, Mary, that she would give birth to a child even though she was a virgin. When Mary voiced her doubt, the angel told her about Elizabeth, her elderly relative. So I’ve decided that from now on I will view all situations with a perspective that backs up my proclamation of faith, and to not be disheartened when things appear to work against me. God is with me and for Him, nothing is ever impossible. One of my favourite worship songs simply because it reminds me of God’s constant presence and how I just need to stay calm and not panic because He is in charge of everything and he will look after me.